BADEN Powell are champions of the Peninsula division of MPCA cricket after defeating Main Ridge at Pearcedale Rec Reserve last weekend. On day one Main Ridge chose to bat first, and would have done very poorly if not for some brilliant individual performances from two batsmen. A spectacular innings of 94 runs from Daniel Polson was vital for his side. Another well taken 62 from Shaun Foster also looked as if it would be a huge help. Main Ridge ended up at 9/204 at the end of play on day one. Play restarted on Sunday for day two and Main Ridge ended up all out for 216. In response Baden Powell got off to a dream start, and at 2/122 victory looked a foregone conclusion. Wickets started to fall but a brilliant innings of 73 not out from middle order batsman Rhys Elmi helped Baden Powell reach their target and secure the Grand Final win. VICTORY tasted sweet for Heatherhill in their District grand final, as they dominated Rosebud in emphatic fashion. Rosebud won the toss and chose to bat first on day one, and found themselves thoroughly embarrassed. Left rattled at 4/7, Rosebud looked to have their backs against the walls right from the get go. A steadying innings of 49 from Pete Doughty proved the only light for a dark Rosebud day. He scored 49 runs as his side was dismissed for a small total of 103. Jake Theobald ran rampant with ball in hand for Heatherhill, taking 6/33 in a dominant display. The following day Heatherhill got to work in chasing down their target and gettin their hands on the trophy. Number three batsman Kristian Miller put it beyond doubt with an innings of 64 not out, as Heatherhill claimed the win with 8 wickets and 27 overs to spare. KIERRAN Voelkl put together a match winning innings for Doamna in their Sub District grand final last weekend, scoring 82 runs on day one to set his side up for a brilliant victory. Taking on Tootgarook at BA Cairns Reserve, Dromana batted first on day one. Both openers made starts but once Voelkl came in at number three, their innings really got going. He smashed 12 boundaries, including two sixes on his way to a final total of 82. He was eventually caught for LBW. After 77 over Dromana ended up all out for 166, giving Tootgarook a chance of getting the win when play restarted on Sunday. In reply Tootagrook were poor. They ended up all out for 122 as Dromana claimed the title of champions. Zacc Klan was pick of the bowlers for the victorious Doraemon, taking 3/24 off 12 overs. LANGWARRIN sung their song loud and proud after securing a grand final win in a tight clash with Sorrento. Batting first on day one, Sorrento put together a decent innings and ended up at 9/220. Leigh Poholke was pick of the batsmen for the Sharks, putting 65 runs on the board before his stumps were sent rattling by Travis Campbell. Matt Prosser took four wickets for Langy, helping set his side up for an achievable run chase. 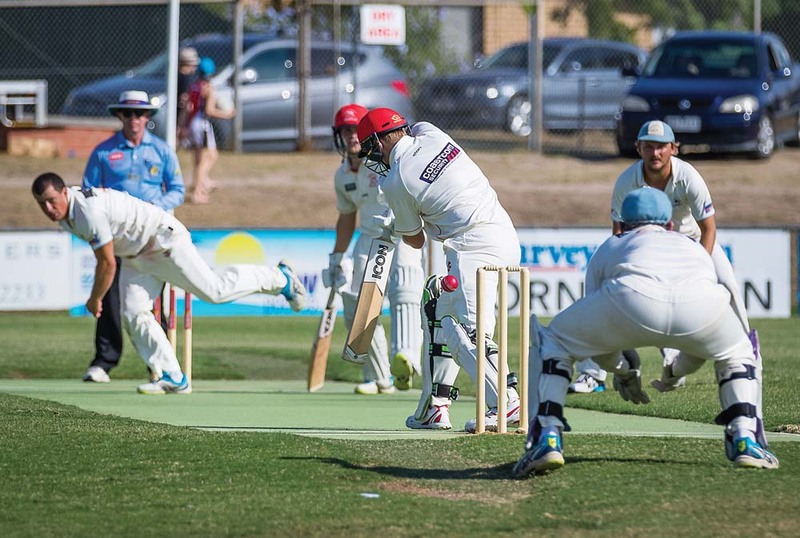 Langwarrin started day two positively, before losing two wickets in quick succession. Matt Prosser proved his ability with bat in hand as well, as he scored 68 runs. Langwarrin’s unbeaten start of 69 runs came to a quick end, as Sorrento looked to put the pressure back on. Any chance of a victory for Sorrento was scuppered by a good Travis Campbell innings batting at number five. He scored 48 not out to guide his side to a brilliant win that will be long remembered. The grand final win sees the Kangaroos go back to back.